My marriage to George. We fell in love at 19, married at 23 and became parents at 37 and 41. We’ve known good times and bad, sickness and health and I’m so grateful we’ve grown and changed together; that our bumps in the road have been at different times and our ability to hold and carry one another has been inter-changeable. We’ve had a reflective week having heard the sad news of a family break up and it’s given us pause for thought every day. 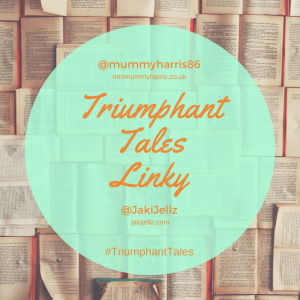 There have been a few more compassionate looks when stretched thin, gentle hand strokes passing the breakfast table and moments of connection as we considered whether we could ever reach the point where being together was too painful. It’s our 20 year wedding anniversary this year and we always joked about renewing our vows to mark the occasion. I don’t feel that’s something we’d necessarily do publicly but I think it’s certainly worthy of some child free time over dinner at least to re-affirm our commitment to one another. Best go check the calendar and find a babysitter! Not injuring any children in the making of a World Book Day costume. With scissors, knitting needles and balls of yarn it was so enticing for L who wanted to climb on me for a better look constantly. We had a good headstart on our costume with a fab lion’s mane that was given to E for his 2nd birthday. We made tassels out of yarn for his arms, legs and tail and I knitted fluffy pads for the inside of his gloves. It was such a relief to finally have a reason to use up random colours from my yarn stash. His props included a string bag for the hunters net and a toy mouse. Have you guessed which character he was? The simplicity of sharing hugs when you’re sad and the ordinariness of heartwarming moments with the boys. I told E I was feeling sad and when he asked why and I explained he nodded his head sagely and said ”oh that is sad. Want to play Guess Who?” and pulled a funny face to brighten the mood. How light and intuitive children are. They know so easily what they need and can often give us inspiration for what we need – a giggle, a hug, an invitation to set our worries aside to play. Close call with knitting needles, jumping boy and nostrils was witnessed. Thankful for quick reactions negating the need for trips to A&E. Note to parents – don’t permit knitting and family cuddles on the sofa at the same time in future! As always a lovely post. The costume was so cool. I loved seeing I on Instagram. I don’t know the characters name, but is it the fable of the lion who gets a thorn in his paw and a mouse gets it out? I love how you have taken the time to appreciate your marriage, it’s so easy to take for granted. 20 years is amazing and deserves to be celebrated! We are 9 years this year and I can’t believe how much has happened in that amount of time. Kids can be so intuitive at times and know just what to do to cheer us up. I think it’s the purity of their concern that is beautiful. I’ve been enjoying hugs with my boys too! There is something so special about them! 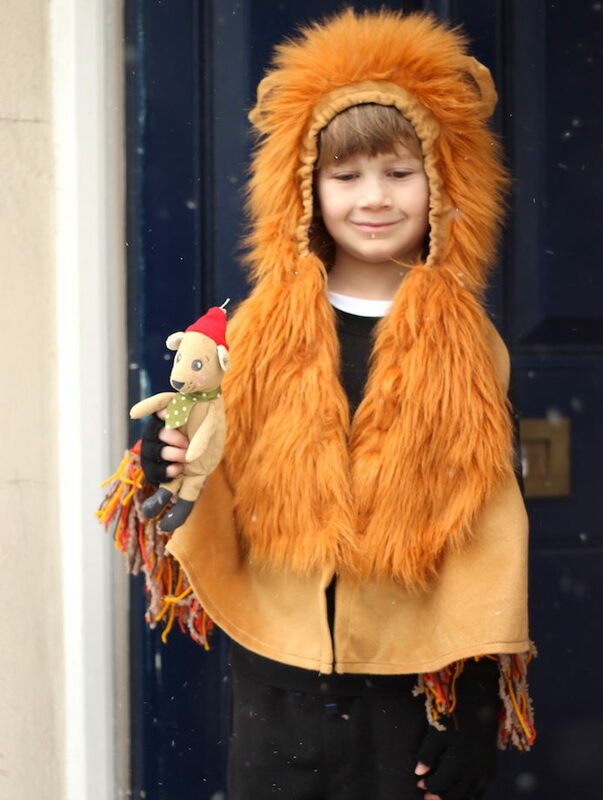 Our inspiration for E’s costume was the Lion and the mouse which is an Aesops Fable. I think I have heard of the one you mentioned and suspect they’re variations on a the same theme of the littlest helping the biggest and becoming friends. Wow I hope me and my husband make it to 20 years. Really does take some work to get that far and still be happy. We never have world book day dressing up at Amelia’s school, which I am half annoyed about and half grateful for. It looks so much fun. If only as adults we could be as sensitive to the needs of others as our children are. Gosh I love this post! That wedding pic is stunning! Marriage is such a blessing and like you our bumps in road have strengthened us and with all we have faced we are stronger. I believe in marriage and will fight for ours always… You should get some time together to reaffirm and celebrate – 20 yrs is incredible! That’s my favourite picture from our wedding day too – can hardly believe it’s 20 years ago soon!